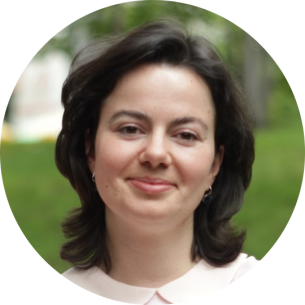 Irina Panayotova is а Resource manager at Hewlett Packard Enterprise with more than 10 years of experience in the project management area. She joined HPE in 2009 as a Project Manager, gaining valuable experience in national and multinational projects. In October 2011 she took the role of a Team Lead of a team of project managers, not only serving as a people manager, but also as a mentor and trainer to the team members. Two years later she decided to specialize in a specific area within the PM field and therefore became a Resource manager for Hewlett Packard – Germany. In this role Irina is responsible for the cross-functional and cross-country project staffing of complex projects. Irina Panayotova has a Master degree in German studies from Sofia University St. Kliment Ohridski & TU Dresden and a Bachelor degree in Public Administration from Sofia University St. Kliment Ohridski. She’s a Certified Master Practitioner of NLP and Certified mediator at the Professional association of the mediators in Bulgaria. Irina’s main areas of interest/competence are staffing of projects and teams; business communication in multicultural and virtual environment; project management; mentoring, problem-solving techniques and mediation at the workplace.